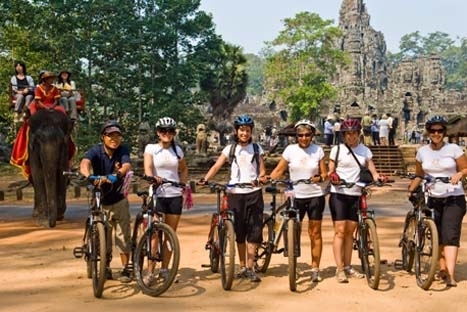 This morning we take a bike ride through the countryside to visit to the Rolous group of temples. The cycle is mainly on dirt tracks. On the way we pass small villages with lots of friendly children. Stop to watch seasonal activities like rice planting and harvesting, and try local snacks. Or try your hand at traditional games like Khmer football (sai). 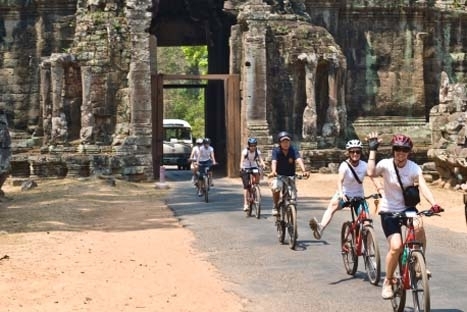 Explore the Rolous Group of temples which represent the remains of the first major capital of the Khmer empire, and are the earliest site of the 600 year Angkor period that is open to visitors. The three temples in the site are: Bakong, Lolei, and Preah Ko. 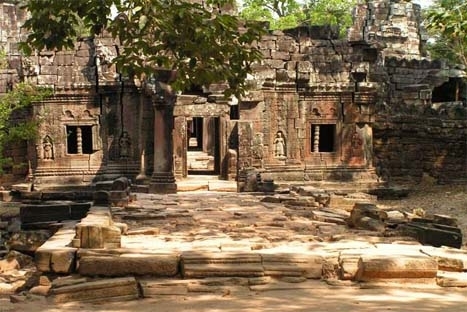 Bakong was constructed in 881 and is the principle temple in the Rolous group. Lolei is a four towered temple built in the centre of what is now a dry water reservoir. - One day pass Angkor Wat Admission fee. - Local lunch & snacks. - Transport via recent model mountain bike. All passengers must be 12 years or older.